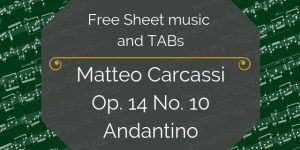 You’ve found the free sheet music and TAB for Vales op.50 no.7 by Fernandino Carulli. 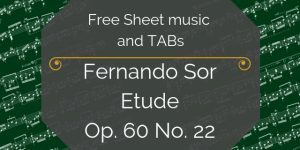 This Valse, while simple on the surface, also allows for some intriguing deeper study. 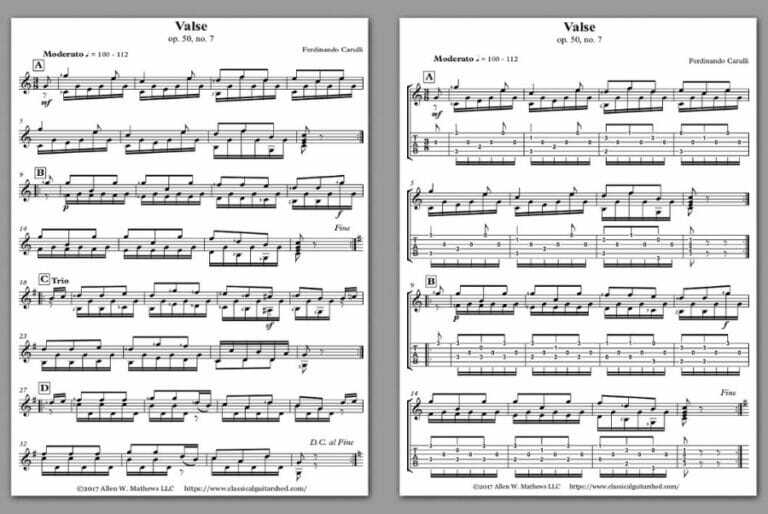 While it seems like an “arpeggio pattern” piece, it’s actually 3 different musical “voices”, all intertwined. This makes it a wonderful exercise in creating the illusion that there are multiple instruments playing. 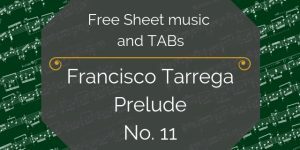 Its high, soaring melody at the opening gets progressively more elaborate as it moves through each of the four sections, before returning at the end in a joyful homecoming. 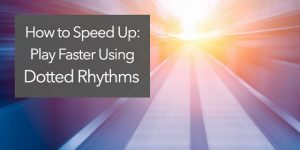 Including the repeats, this song is meaty enough for performance and compelling enough to hold your (and any listeners) ears. Dive into this Valse with the big picture in mind and you’ll discover all sorts of delightful little challenges and opportunities to create beautiful moments.